It all starts with the echo of a single voice. “Are you ready?” it asks. Soon enough, rolling drums and zipping sirens unfold from behind. Santigold herself vocally emerges onto the center stage that has unfurled around her. Her distinctive chirp serves as a magical catalyst that unlocks new sonic pathways as it moves to fill the frame of the song. On I Don’t Want: The Gold Fire Sessions, Santigold once again pulls her myriad influences together into a finely curated collection of songs full of tiny moving parts. This time, however, the album gives way to a new kind of spontaneity that was hard to find in her earlier works, one born perhaps of its mixtape format and surprise release. Santigold has always been known as an innovative artist. 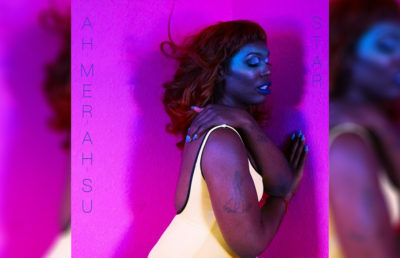 She sources her inspiration from artists as distinct as Nigerian Afrobeat multi-instrumentalist Fela Kuti and post-punk band Siouxsie and the Banshees, carefully coordinating them into an arrangement that is distinctively Santigold. And yet, the inspiration she plucks is nothing but a surface-level flourish on top of Santigold’s artistry — it’s clearly visible, certainly fun and consistently decorative, but it’s hardly explanatory of her main appeal. That appeal comes from the singer herself. The magic of her music is defined by the sumptuous malleability of her voice, by her impeccable ear for curation rather than the innate qualities of any of these curations themselves. Instead of remaining stationary in the midst of all that surrounds her, Santigold is singing out from within. She moves freely throughout the songs, serving as an unrelenting guide through the album from open to close. Her voice streams across the rhythm, filling in its gaps and glimmering joyfully in its light while moving steadily forward at her own pace. The songs swerve smoothly into completely unexpected directions with effortless beat changes and instrumental brushstrokes refined, broadened or halted altogether as necessary. Yet Santigold is always a step ahead, guiding her way skillfully through her new terrain, pulling each sound into plain sight at just the right times and finally pushing forward again. The album alternates between songs where Santigold’s voice stays in the burning earthy register that she showcased on each of her prior releases, and songs on which her voice is swept up into brighter, airier tones. 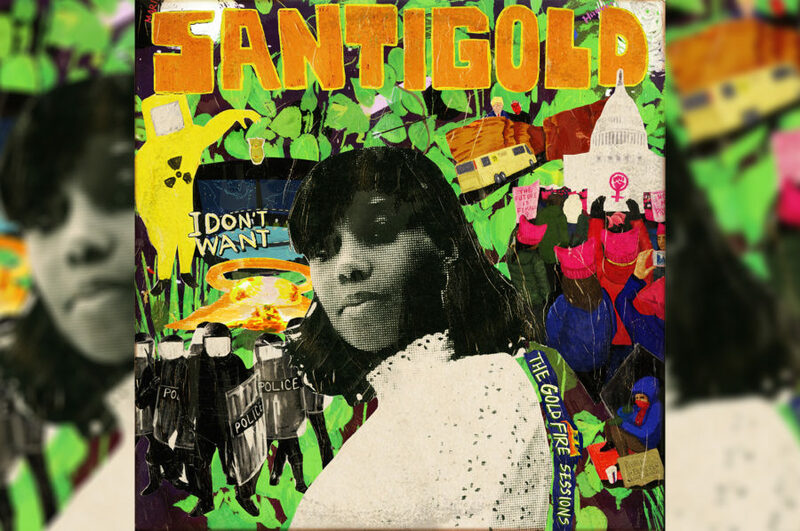 It’s hard to say that she does either better than the other — while her lower range sounds more controlled and holds more performative flourishes, there is an undeniable joy in hearing the purity of Santigold’s voice stretch itself in new directions. 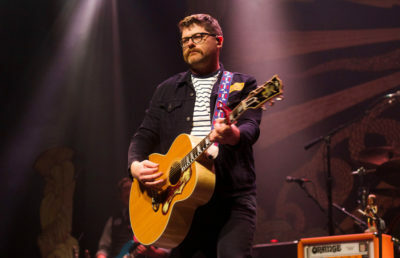 On “Run the Road,” the album’s second track and first single, the singer switches between the two vocal styles. She sings mainly in the lower range on the verses, swishing through the lyrics with a self-assured swagger. On the chorus, switching to a higher register, her voice narrows itself as the synths and percussion batter against it, never allowing it to break. Lyrically, the song continues with the social commentary that populates much of the album. On I Don’t Want, Santigold’s commentary is explicit but far from overbearing. It is topical, but it is personally informed rather than deeply entrenched within the politics of the times. Her lyrics tread the line between the personal and the political without a care in the world, and yet never run the risk of being pulled too far in either direction. In any case, she’s moving too fast, too assuredly, to fall into either trap for too long. I Don’t Want is the first of a pair of “fun and fast” releases, in Santigold’s own words, and it is an album for the times. As she rolls from track to track with ease, she proves herself to be an artist for the times, building her artistry upon her present surroundings. If there’s anyone who can pull off planned spontaneity, it’s got to be Santigold.